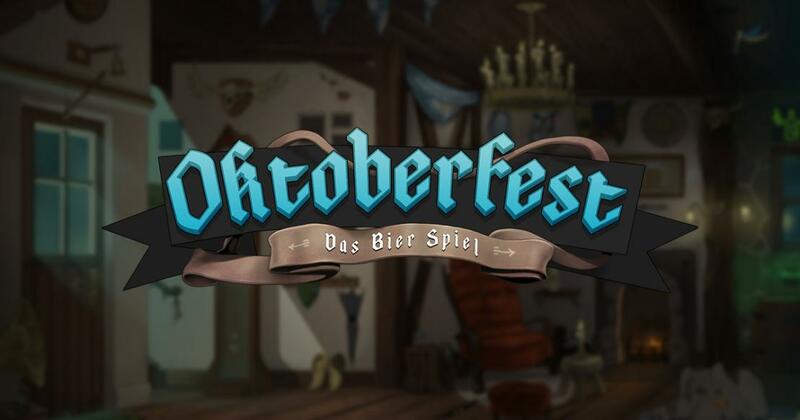 A big spot in Nolimit City’s collection of slots has been reserved for a beer drinker’s dream, the German Oktoberfest festival. Oktoberfest is not a particularly unique game, as the beer drinkers will often dream about this festival and there are several slot machines that put this drink at the center of their action. However, what is special about it is the quality of the design used in it, one of the best that I’ve seen with this particular topic. With the inside of a German bierhouse apparently in the background, the reels are populated with things like kegs of beer, Bavarian hats and musical instruments, sliced meats and lots of playing cards that are shaped out of pretzels, the perfect beer food. All in all, one of the best-looking Oktoberfest games that I’ve seen so far, especially with Gretchen and Hansi, the two Bavarian main characters, appearing on reels 2 and 4. The slot might have a gorgeous design, but it doesn’t stand out in the same way where the layout is concerned. There will be 5 reels, along with 20 fixed lines. Feature wise, you get the wild symbols in several variants, along with scatters, Prost Spins, Bierspins and multipliers. By placing a wager, you activate 20 fixed lines, and so you need at least $0.20 to do that. At its highest, a wager can get up to $100, letting you select $5 for each line. Wild symbols of several types are available, and what they have in common is that they all act as replacements for others, but not for scatters. The Prost Spins get to trigger if the stacked Gretchen and Hansi wilds land at the same time and occupy all positions on reels 2 and 4. The respins will benefit from a Prost Wild which moves and guarantees that the player wins each time. The scatter’s role in this game is to provide you with the other main feature, the Bierspins, 10 of which will be yours if you get three scatters with the Beer Mug. Up to 5x multipliers are deployed during the Bierspins. On top of the other two types of free spins, there are also Party Spins which come at random. One of the Fest symbols get superstacked for this feature. The Pretzel Party is another feature that you could get at random, with playing card symbols transformed into wilds for it. I loved the graphics and the wealth of features in this game, and the fact that it’s a beer related theme didn’t hurt it either. Try of out a demo version of Oktoberfest.